The CPI(M) blamed Hindutva activists for the attack and claimed it was a continuation of the recent attempt to attack party General Secretary Sitaram Yechury in Delhi. Coimbatore/Chennai: Unidentified persons hurled a petrol bomb at the district CPI(M) office in Coimbatore early today, prompting condemnation from opposition parties in the state. Though nobody was injured in the incident, a car parked there was partially damaged, police said. 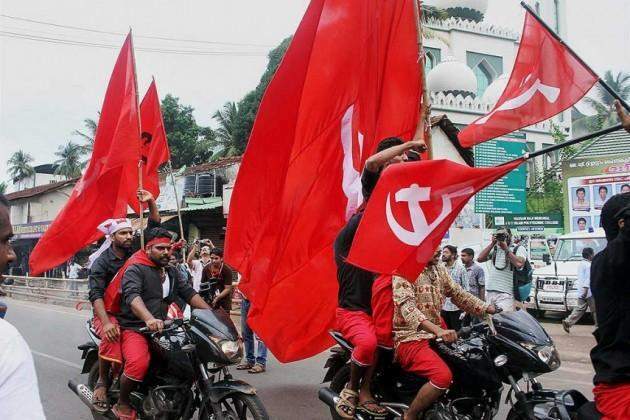 The CPI(M) blamed 'Hindutva' activists for the attack and claimed it was a "continuation" of the recent attempt to attack party General Secretary Sitaram Yechury in Delhi. CPI(M) state Secretary G Ramakrishnan strongly condemned the incident and said a four-wheeeler and a window suffered damage in the attack. He said his party had actively worked towards ensuring communal harmony and unity in the past when communal violence broke out in Coimbatore. "It is worrying that elements trying to disrupt communal harmony and unity in Coimbatore are on the rise of late," he said in a statement. Ramakrishnan also recalled the recent attacks at the party's local offices in Kanyakumari district. He urged the state government to arrest those behind today's incident. The incident was a continuation of the attempt to manhandle Yechury recently by "intolerant activists," the party's Coimbatore District Secretary V Ramamurthy said. "As the party was fighting against the communal forces and their deeds, the intolerant Hindutva activists, through such attacks, were trying to throttle the voice of CPI(M)," he told reporters. DMK Working President and Tamil Nadu Opposition Leader M K Stalin strongly condemned the attack on the Left party's office. He alleged "evil forces" were trying to resort to violence and affect law and order in the state and urged the state government to bring the culprits to the book. "Opposing views should be countered by tolerance and opinions towards constructive politics," he said. CPI state secretary R Mutharasan and MDMK founder Vaiko also slammed the attack.